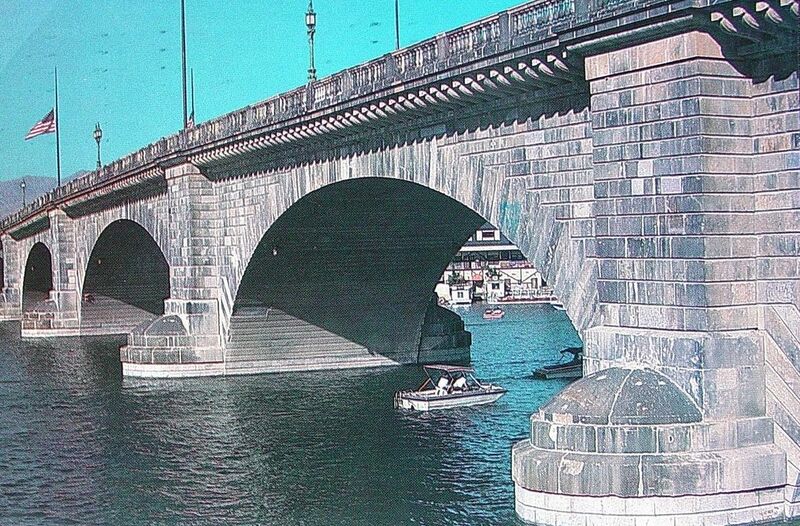 Quirky Berkeley | London Bridge. 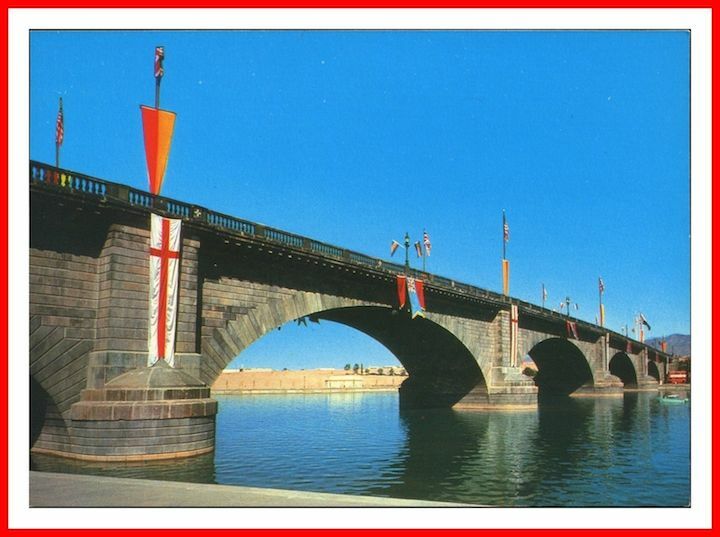 In Arizona. 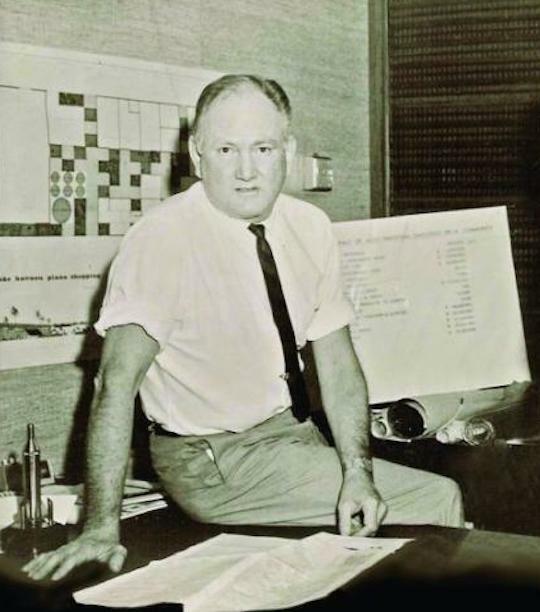 This man was named Robert Paxton McCulloch. 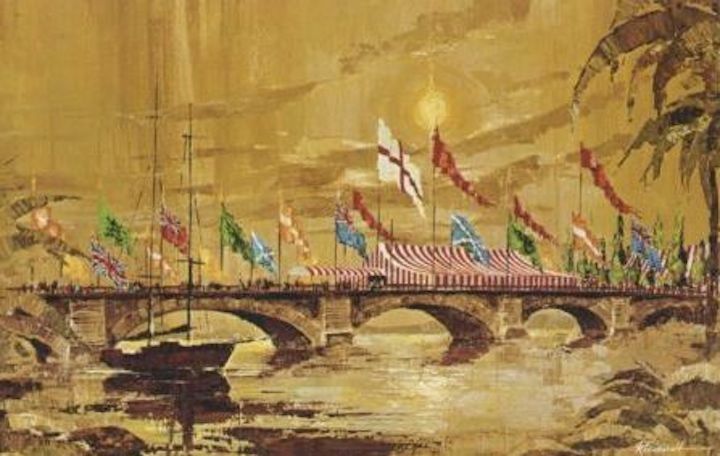 He inherited a fortune when he was 14 years old. 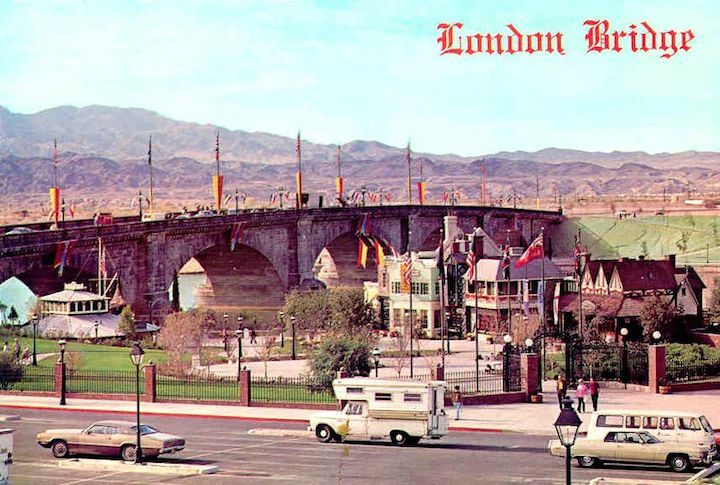 He made his own fortunes with superchargers and chainsaws. 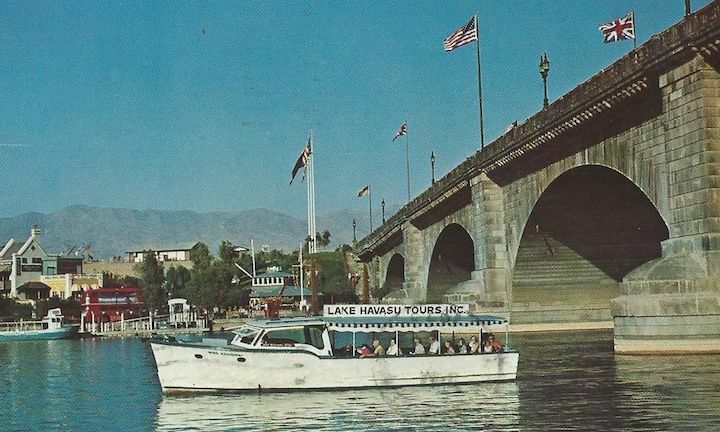 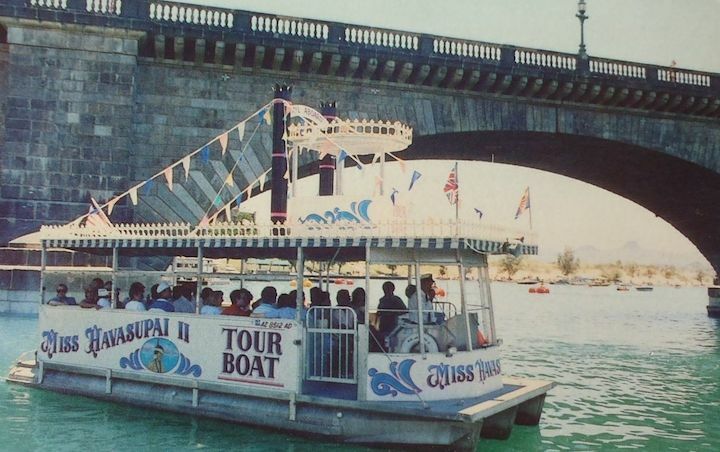 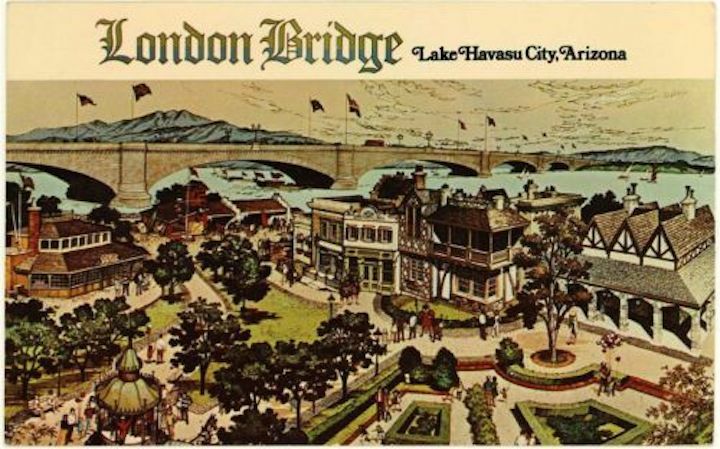 And then he moved the London Bridge from London to Lake Havasu, Arizona. 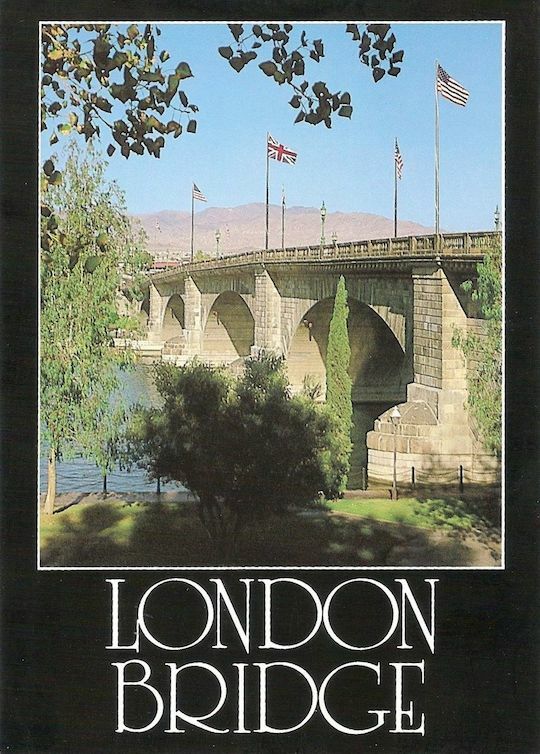 Sort of. 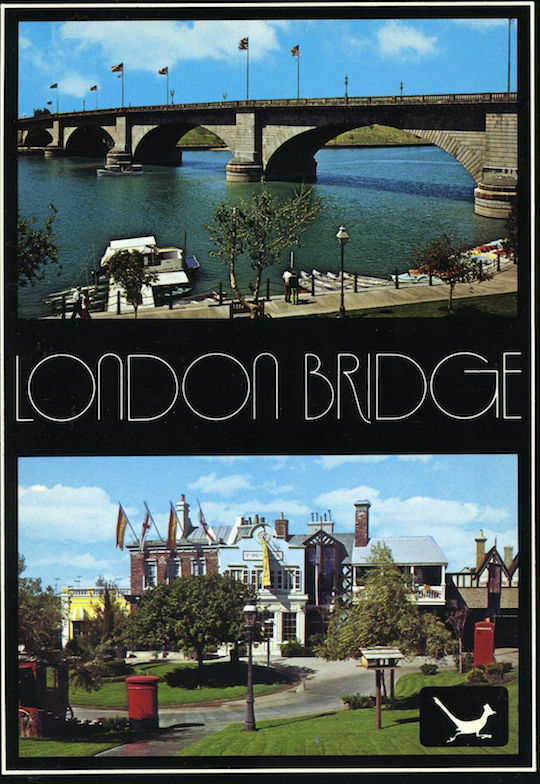 Pieces of it face a structurally sound, well-engineered bridge. 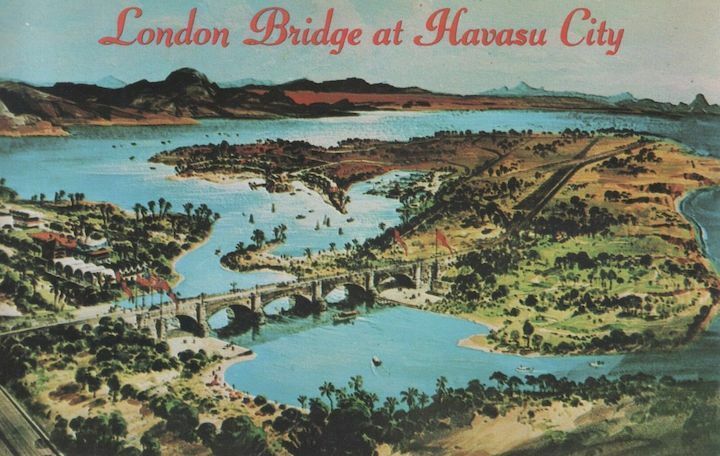 The irony of London Bridge in an “intentional community” in the desert of Arizona is rich. 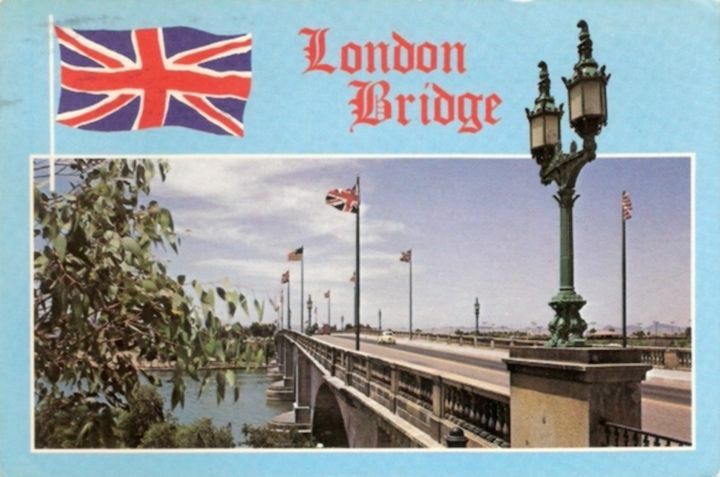 Gabby could not resist it. 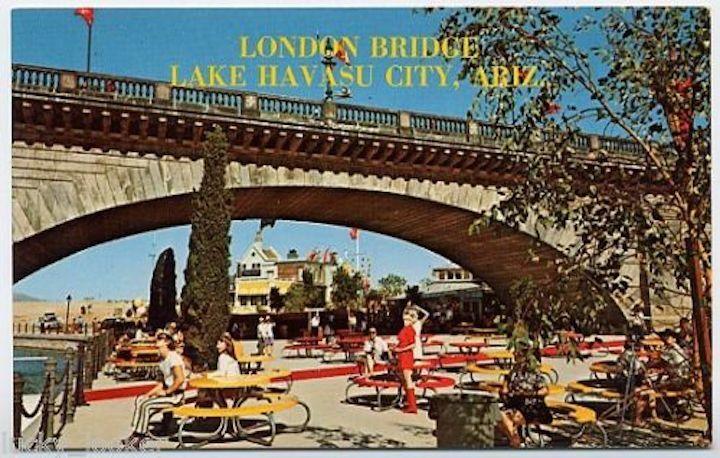 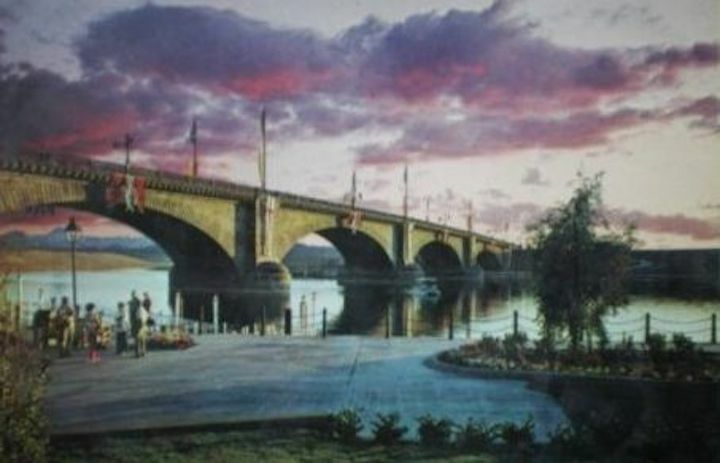 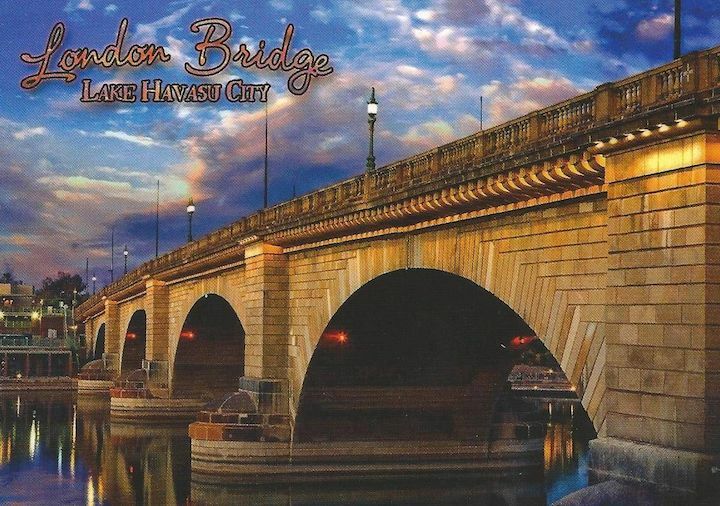 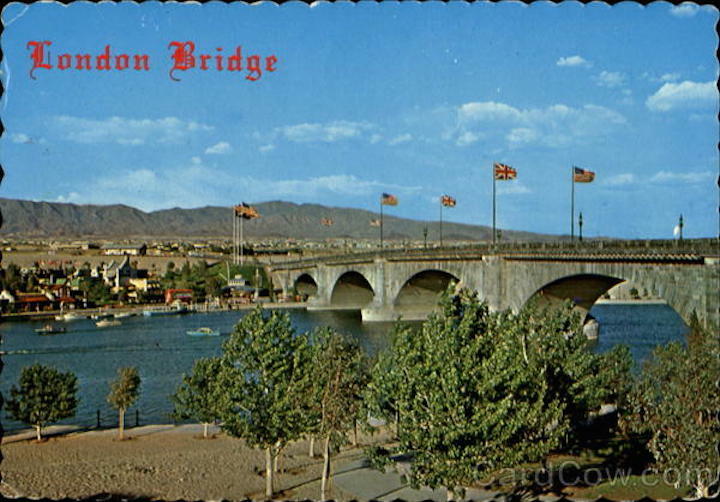 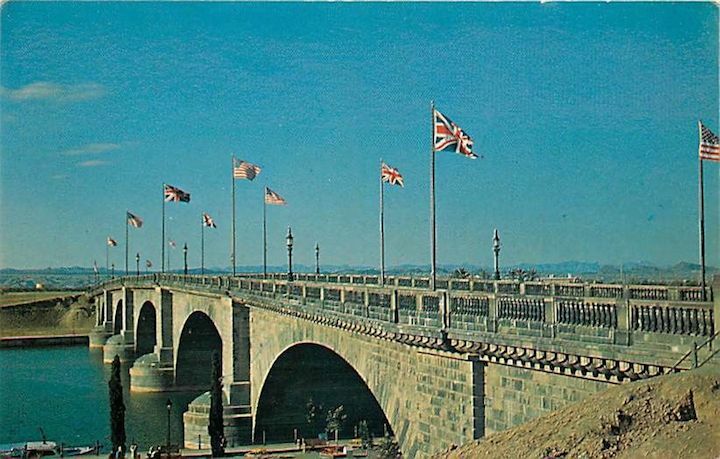 He built a collection of London Bridge in Arizona postcards over several years and then sent it to my friend. 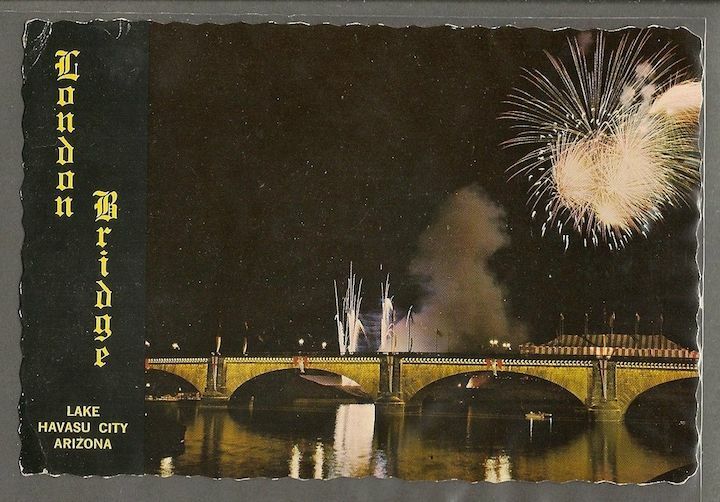 Who is sharing it with us. 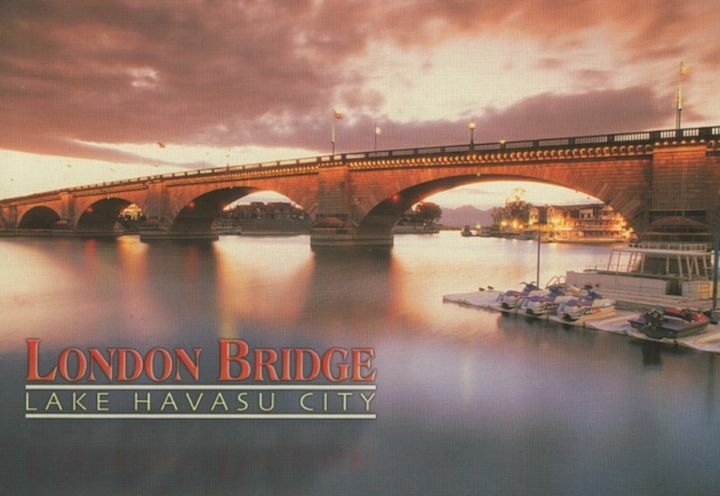 My friend hates Arizona. 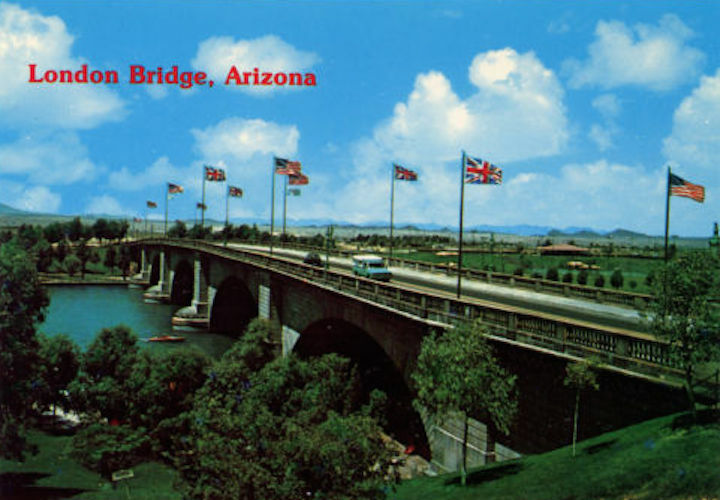 The only good thing that he has to say about Arizona is from a trip that he and I took to Tucson in the early 1980s to see my Great Uncle Wally who was wintering there. 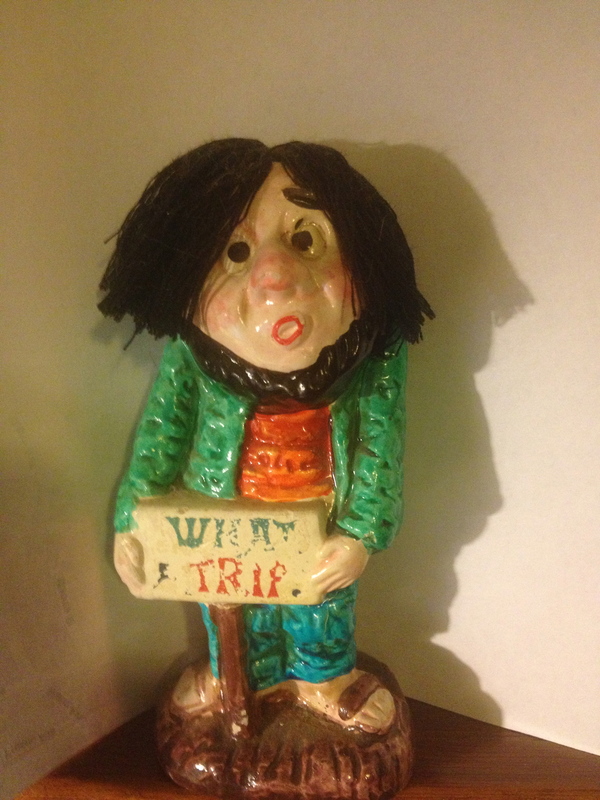 We both liked that trip but otherwise – not his cup of tea and not my cup of tea. 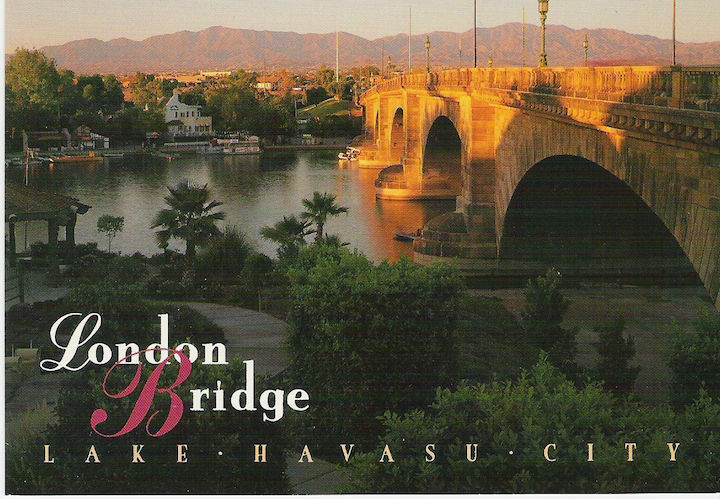 So – he hates Arizona but can’t help but be struck with the consummately absurd nature of the bridge and these cards. What does he think?